A guide to the basic mechanics and features of Beasts of Bermuda. Beasts of Bermuda is a game where you take control of one creature, be it land, sea, or air, and try to survive from Baby, to Adult, to Elder. The game contains classic survival elements such as Eating, Drinking, Stamina, and hazards you have to deal with, be they Environmental or brought on by another player. This Guide will cover as many topics as possible to help a Beginner, explaining mechanics, HUD elements, and what you need to do for basic survival. Life Cycle: The default game mode, you begin as a baby, either spawned or hatched in, and receive points as you grow. You continuously grow, though growth slows down after 1.2. Freeroam: You begin as an adult, and receive a set amount of points when you spawn in. There is no nesting, and you do not grow. Combat: A deathmatch mode, usually takes place on small maps to promote swift player interaction. 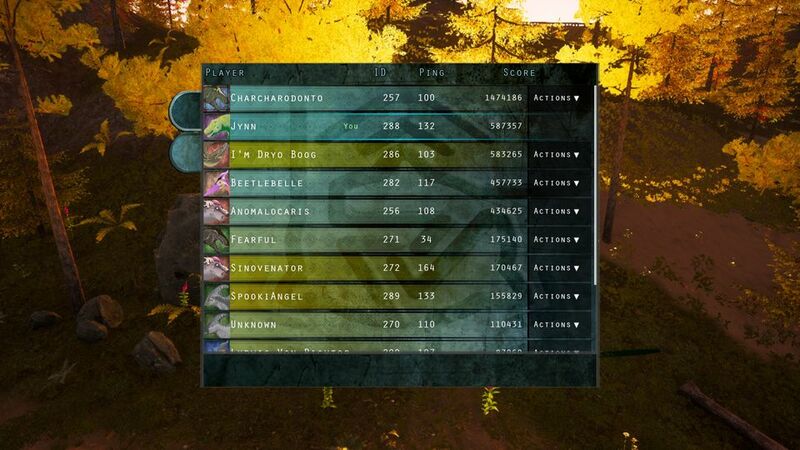 You gain a set amount of points at the beginning based on your creature’s weight class, with smaller creatures receiving more starting points. You also earn points by killing other players. The more points they have when you kill them, the more you earn for killing them. Skin Customization is easy enough to explain. You can only change your skin if you are spawning into the game to start, not if you are bred. If you are hatched by parents, you will get a randomized skin using elements of your parent colors. You can save skins, and in the upper right corner of the character customization screen is a button called ‘Show Saved’ (See screenshot at the beginning of this section). Clicking on it will reveal your saved skins (See picture above), which you can name, allowing any number of skins for one creature that you can quickly load. Comfort is a very important game mechanic, that affects how fast you grow, how fast your stamina and ability power recharge, and how well you heal. It is a indicator of how comfortable your animal is, taking in all accounts such as nearby allies, nearby enemies, the weather, and if you’ve eaten good or bad food. One of the biggest ways you will find that you lose or gain comfort is through enemies and allies. A nearby friend is going to boost your comfort higher, while a nearby enemy is going to lower it. Eating specific plants will increase your comfort ‘bias’, which is the cap your comfort will sit at. This bias will decay over time. There are also talents that will increase your base comfort level, and that is permanent to your dinosaur. Size does play a role here, a Velociraptor is going to be extremely stressed by a nearby Apatosaurus, while the Apatosaurus will barely notice the Velociraptor’s presence on its comfort. Equal sized animals will affect each other similarly and be a more equal encounter. Taking the talent ‘Intimidation’ will increase how much comfort loss or gain you influence on others. There is also a talent that reduces how much stress you take from nearby enemies. You begin losing health at Orange levels, and the effect increases the lower your Comfort drops. This means it can be very damaging to stay near enemies, or to try and stay out of shelter during severe weather. Ability Power is what enables you to Attack, Scent or use any special abilities your creature has. This is a neat mechanic the game employs to make battles more strategic. If you spam bite and miss attacks, you will find yourself unable to attack again, rendering you needing to run until your ability power recharges, giving encouragement to land attacks properly. Most creatures have 100 Ability Power, with a few exceptions having more base amount, and there is a Talent that increases the amount of Ability Power you have that is available for everyone to take. There are also talents that make your attacks use less Ability Power, and these two Talents can be used together to prolong your Ability Power. Stamina is the same as in many other games, where Sprinting and Jumping depletes it and it recharges slowly, recharging faster if you Sit, and recharging fastest if you Sleep. There are several Talents affecting Stamina, from how much you have to how much it depletes as you run. There is also a Talent Carnivores can take that depletes Stamina of their prey upon biting. The larger you get, the slower your food will drop (especially with the Food Talents in the Survival Tree), but also the more you have to eat to stay full. This means that, past a certain size, you are going to start struggling to stay fed, especially if there are other herbivores / carnivores around that might take your food. While your size does mean more health, more Talents, and over all a better chance of not being killed by someone, it does come with the drawbacks of higher upkeep on your food and water. Also, the lower your food and water gets, the slower it depletes. 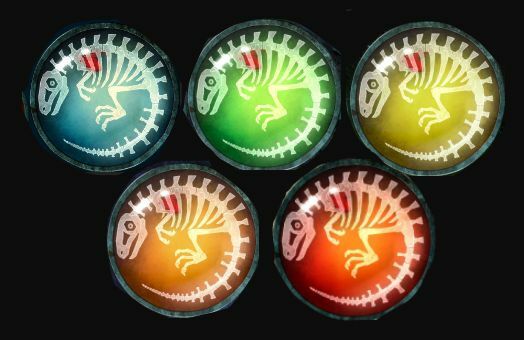 Over eating will increase your creature’s fatness, as well as give you the “Well Fed’ buff, which provides more health and faster healing at the cost of slower speed, slower stamina regen, and lowered comfort. There are three different types of food: Fish, Plants, and Meat. These are eaten by Piscivores, Herbivores, and Carnivores. Almost every type of plant in game is edible. Your size does determine what you can or cannot eat. 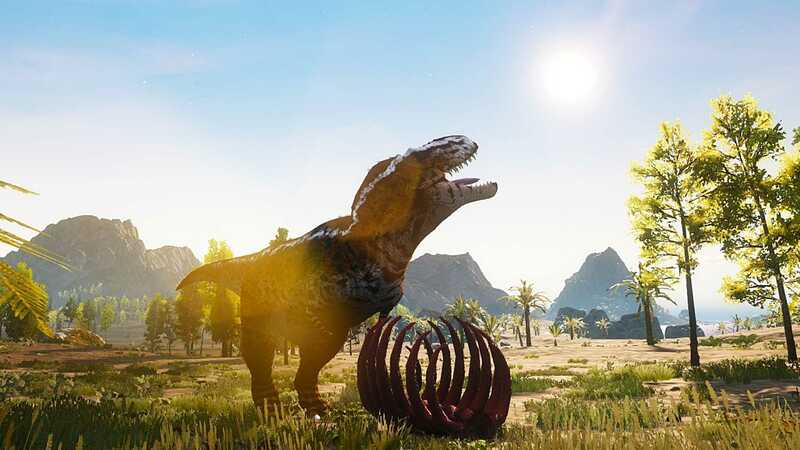 For example, a Pachycephalosaurus is going to be limited to small ground plants, while an Apatosaurus can eat entire trees. Certain plants offer more benefits. Special glowing plants provide more food than the average plant and increases your Comfort and can be scented as a green cloud. It is the only plant that has a scent. Aquatic plants will give food poisoning to land herbivores if eaten, just as land plants will give food poisoning to aquatic herbivores when eaten. There is a talent called Botanist that offests this. Plants can be picked up by double tapping E, and carried. Your size dictates how much you can carry at once. Aquatic plants are seaweed and kelp, and both are edible to all creature, though will cause food poisoning in land animals that eat them. 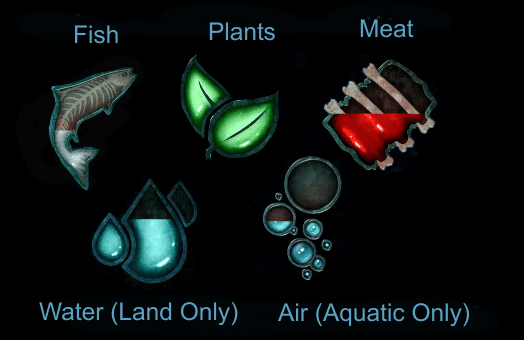 Land plants will similarly poison aquatic herbivores if they eat them, though the Botanist talent can offset this. Special glowing plants provide more food than the average plant and increases your Comfort and can be scented as a green cloud. It is the only plant that has a scent. Meat is obtained in two ways: killing other creatures, or finding the tiny random ones that spawn occasionally on the map. Meat will decay as it sits out, and this is visible by its texture, color, and the sound of flies as it begins to rot. Its scent color will change from red to yellow as well (See Scent Section). Eating rotten meat will poison you with food poisoning. Storing meat in a cave will slow down its decay rate. Carnivores can eat fish, but they will suffer a negative comfort debuff when doing so. There is a Talent that will allow a Carnivore to more comfortably feed off of fish, allowing a Aquatic life style for a normally Terrestrial predator. That same Talent will also allow the safe consumption of Rotten Meat. Meat can be picked up by double tapping E, and carried. Your size dictates how much you can carry at once. There is a Talent that lets you carry more at once. Storing meat in caves slows down how fast it decays. Fish are a simple-AI food source that spawns in the ocean and roams. They are the primary food source of Pteranodons, Elasmosaurus, and Icthyovenator. These creatures can also consume meat, and with the Scavenger Talent, even rotten meat. Water is filled at a Freshwater source. Saltwater is unable to be drunk at all. Inland lakes will deplete as they are drunk, meaning a large herd at one lake could possibly drain it dry after enough time. Lakes will refill slowly over time, and Rain will increase the rate at which they refill. Refilling an Air meter is a need only required by Aquatic creatures. To refill Air, they must surface and place their heads out of the water, pressing the use key to breathe. Breath is not automatic. While swimming non-Aquatics also have a air need if their head goes underwater, this is refilled automatically by lifting their head above water. Scent is done by holding down the required key (Check Keybindings for your Default setting). I rebind mine to Q for a easier time pressing it quickly. While holding it down, scent smoke clouds will begin to appear. Red is fresh meat, and it will gradually get more orange as it decays, leading to yellow when it is fully rotted. On top of this, water itself will give off a blue scent, helping you locate it. See above picture for examples of meat in various stages of freshness, and fresh water sources. Scent requires Ability Power to use, so be aware of that as you use it since you could impair your ability to attack or defend promptly if you drain all your Ability Power through scent. I tend to use Scent in short bursts. Creatures themselves have specific colors, and leave small scent clouds behind. 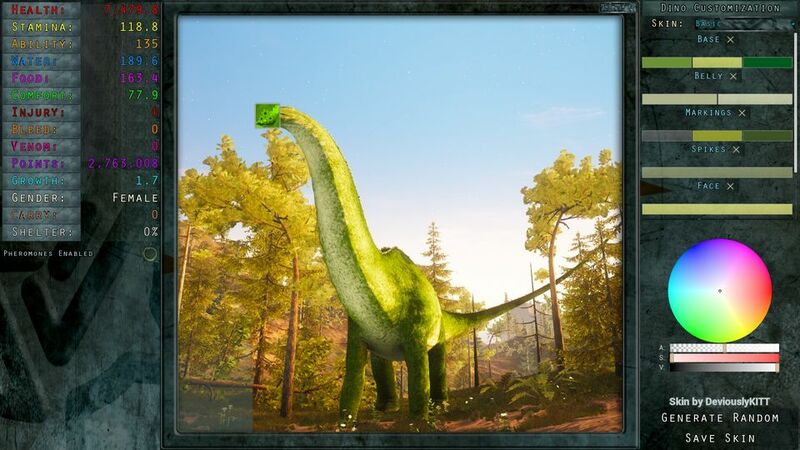 This is most noticeable on Apatosaurus, and less obvious on very small creatures. There is a Talent to make your scent clouds smaller and disappear faster, and also a Talent that increases how well you see Scent clouds and how long they last, for better tracking. 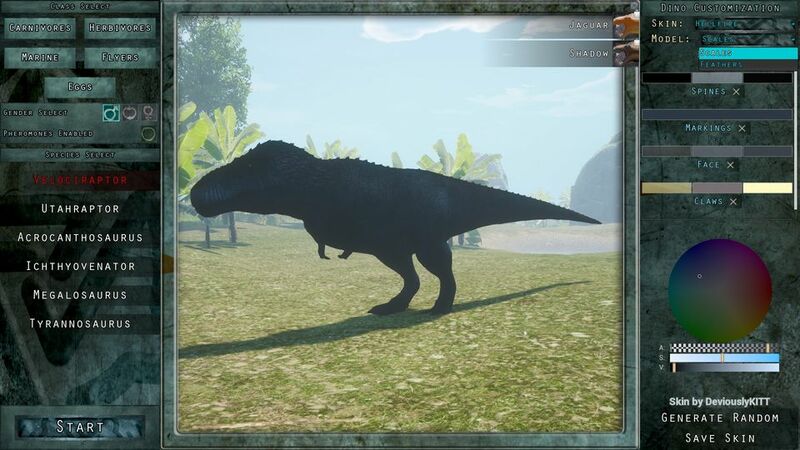 When you hover over a creature, you can see by the color they are what Talent tree they have gone down (For example, in the picture above: You can see 2 different Tyrannosaurus Rex, each is a different color due to both of them choosing different talent points. 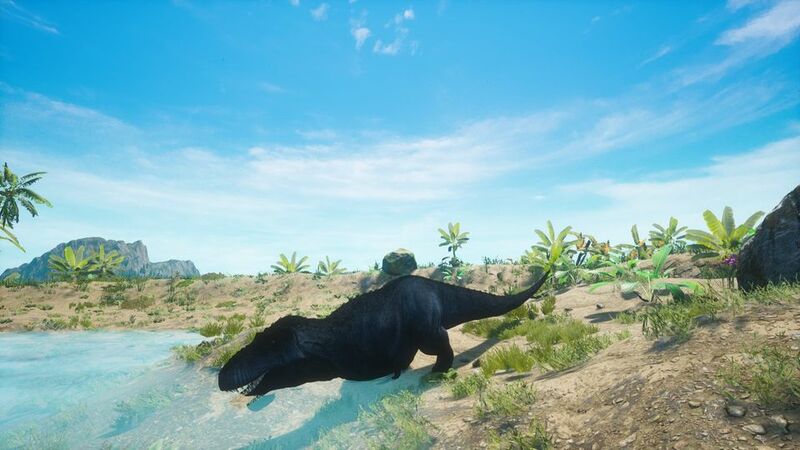 Blue is pure Survival rex, and the lighter Blue-purple has gone mostly Survival, and some Mobility tree and Combat Tree talents. You can also see the scent for Rex, which is a Cyan color. Grouping is a major draw to surviving and socializing for some players. One player creates a group, and becomes the ‘Alpha’ of the group. Inviting players via the Player List will send an invite to them, and they can accept or decline. If they accept, their icon will show up on the map where they are. This can be toggled off or on. Being in a group is beneficial in that it provides you with a private herd / pack chat, as well as comfort boosts when near each other. At higher friendship grades, you get friendly fire reductions, so that you can more safely hit a enemy through a ally without hurting them as bad. Friendship starts at E grade, and goes up to A grade. Mating and friendly fire reduction begins at C grade. In time, there will be a way to set roles for the group, and to be able to duel someone of equal rank for the role of Alpha. This section will be updated when this is introduced. 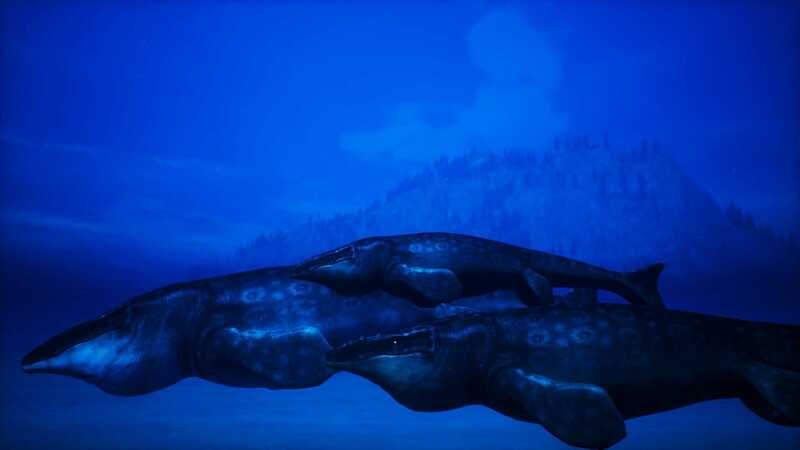 Species Limits will be an adjustable server option (Not present on Official servers), where how many creatures of one type can be present in the game at all. When more details are available I will update this section. Talents are the abilities that let you adapt your creature to your playstyle, and increase its chances of survival. There are three main trees, each with skills associated with that type. Combat, Survival, and Mobility. Each tree contains 10 talents, that can be invested in up to 3 points manually, and can go up to 5 points through the use of inherited talents and breeding. You must have points in the previous Talent on a tier before you can take a next one, and you must upgrade the previous Talent before you can upgrade the next one. For example, if you want 3/3 Health Upgrade, you have to have 3/3 out of the Talents that lead up to it. The background of your talent tree and of your player avatar will reflect the tree you are most heavily invested in. Colors will mix on the avatar background, so someone who has purple is a mix of Combat and Survival, while someone that is more brown is a mix of Combat and Mobility. You can see in the picture above a wide variety of skill choices by different players. The Player List no longer shows what every player plays, as of the December 2018. 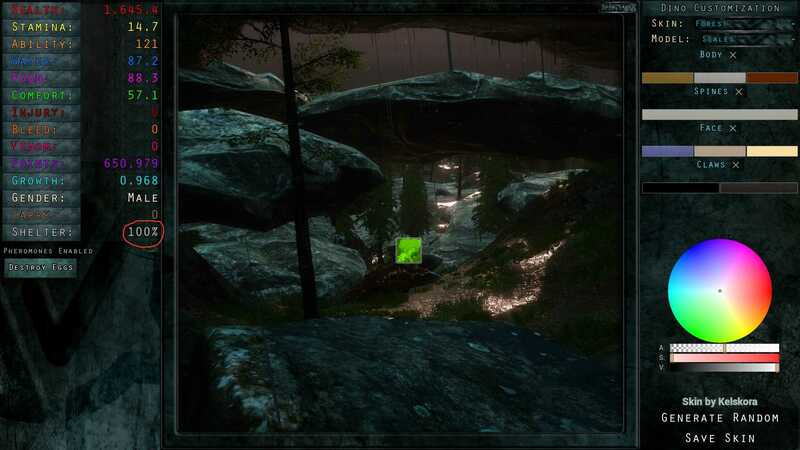 Only players in your group will show as the creature they are playing, everyone else is anonymous and shows their Steam avatar. But my picture of the player list is still relevant to how the avatar colors work. Survival Talents are related to the over all ability of your creature to, well…survive. Talents like Weather Resistance, Comfort and Stress Resistance, Scent, and Food / Water. Some species have specialized talents in this category, like Aquatics and their Elusiveness ability. 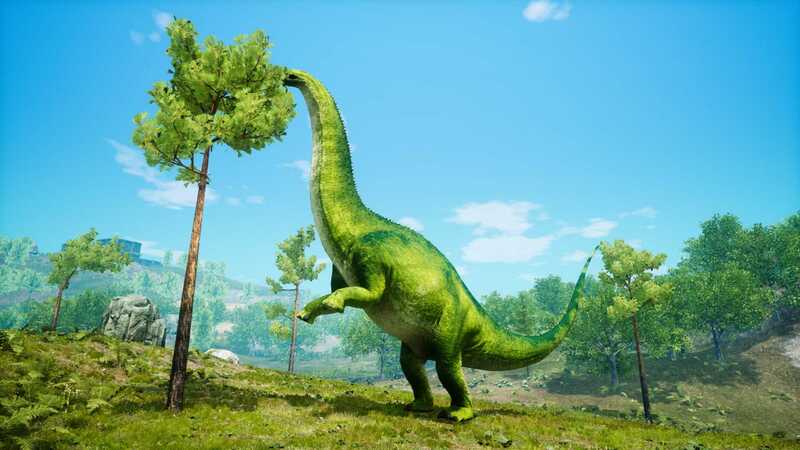 This is a good support Tree, with Talents that increase the Comfort you provide allies, and in the case of Apatosaurus, how much weather protection you give allies. Mobility Talents are centered around movement. Talents include Speed, Jumping distance, Fall height resistance, Stamina, how well you turn, how fast you can run up hills and other movement related skills. Some species have specialized skills in this tree, such as Apatosaurus and Parasurolophus having a Turn While Stomping Talent. 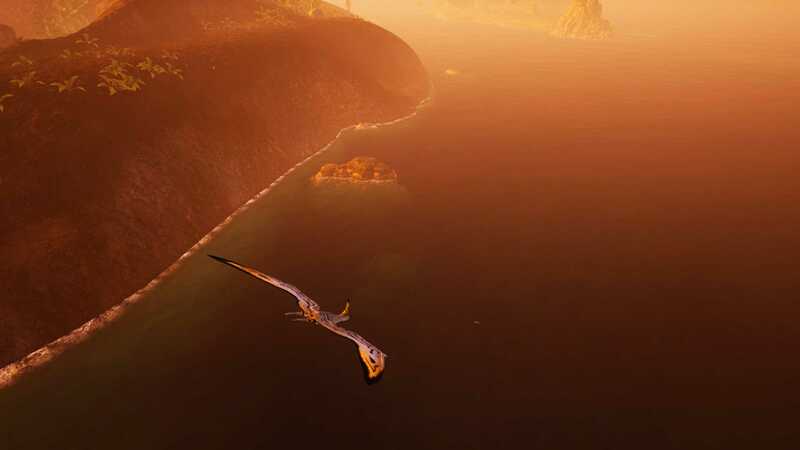 Pteranodons have a very specialized Mobility tree with several flight related Talents unique to them within it. Inherited Talents works in two ways, and they vary based on how you enter the game. They have a chance to appear at specific growth stages, though you might not receive one at that growth stage if you did not inherit a Talent in that Tier. There are many things in game that will give you a buff or debuff, and in this section I will cover all of them in detail. The image above shows a few of the ones you will encounter in game, and as you can see each one details what is wrong and why it’s happening, and how to fix it. I’ll go into further details below. Thalassophobic: Caused by being a Terrestrial animal and swimming in the deep sea. This is solved by getting to shore. This can drop your comfort sharply, though there are talents that reduce how stressed you get while swimming. High Pressure: A effect caused by going too deep into the ocean. Talents can reduce how deep you can go before you start feeling the stress of the pressure. Returning to the surface will remove the debuff. 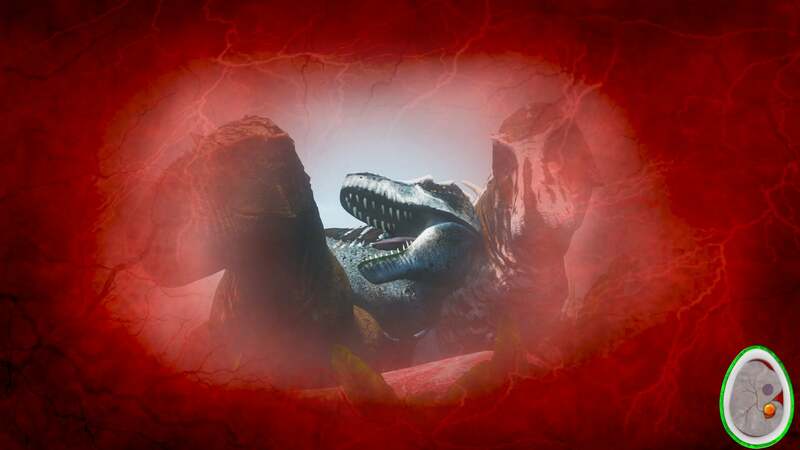 Bleeding: Caused by an Acrocanthosaurus’s bite. 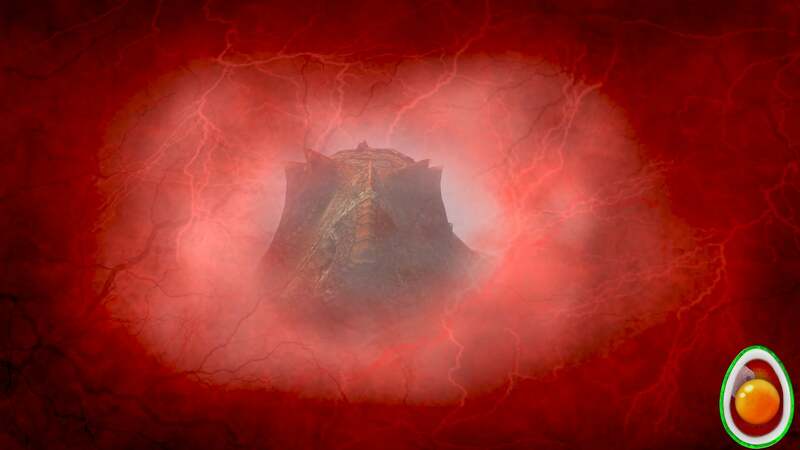 It will prevent health and comfort from regenerating until the bleed heals. Sprinting increases bleed, while Resting heals it the fastest. Intimidation: If a creature takes the Intimidation Talent, you will get this debuff near them if you are an enemy. It will cause your comfort to decrease rapidly, potentially causing you damage if your comfort drops low enough. Getting out of range of the creature will remove the debuff. Beached: Only affecting Aquatic creatures, this debuff happens when you are on dry land or in water too shallow to swim in. This can quite rapidly reduce your comfort, and getting into the sea is the way to remove it. There are Talents that reduce how stressed you are on land. Injury: Caused by heavy attacks or fall damage / pteranodon crashing. This debuff slows you down, making your creature limp if the Injury damage is high enough. Resting and time is the only way to heal it. Food Poisoning: Eating rotten meat will give you this debuff. It drops your comfort, though eating specific comfort flowers around the map can help you heal it and survive. The Elements: Weather is a big comfort hit, and the more severe the storm, the more dangerous it is on your comfort. Rain and wind are the main causes of the debuff, and getting into shelter can reduce and even remove it. This only shows up when you start losing -15 Comfort per tick. Severe weather is going to reduce your comfort in general, even if this buff is not showing up. Healthy Herbs: Eating specific plants around the map will give you this buff, and you will grow faster, heal faster, be more comfortable, and recharge stamina and abilities faster. Near Friends: Caused by being in a group with allies. This gives you a powerful comfort boost that will in turn affect how fast you grow. Enhanced Growth: During bad weather, your growth rate is increased, and the discomfort other creatures cause you is reduced. The Tide rises and falls periodically, and can cover or expose natural land bridges when they do. Timing when to cross to another island can be the difference between death at the jaws of an Aquatic or surviving, so learning when to tell low tide can save your creature’s life. Storms will appear in varying degrees of severity. This can be from a light rain shower, to almost the entire map flooding under an epic rainfall. There is a Stat in game called Shelter State, which indicates how protected from the elements you are. Being up against a cliff can provide you with 25% shelter, for example, while being inside a cave gives you a full 100%. Only 100% shelter protects you from Tornadoes, making caves a desirable choice during really bad storms. This brings in a secondary danger…the potential of running into a predator in the confines of the cave. 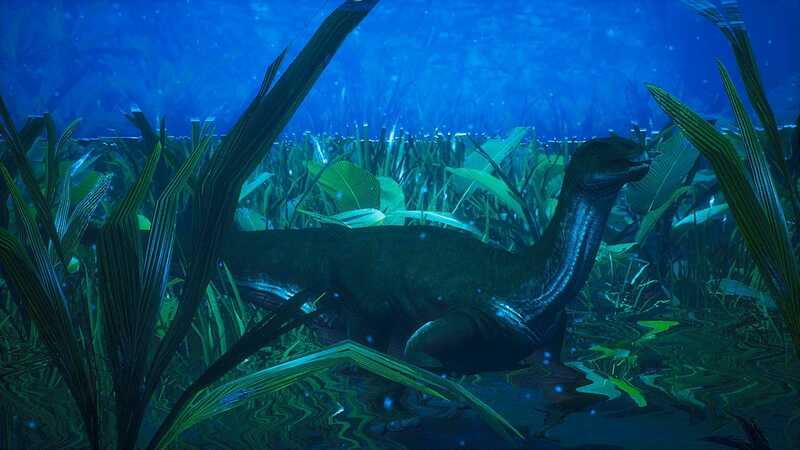 Apatosaurus can provide weather protection to nearby allies. and there is a Talent they can invest in that will allow them to provide more shelter state to allies. A full 3/3 makes allies near them non-target-able by Tornadoes, but does not stop them from being picked up if a Tornado wanders their way. 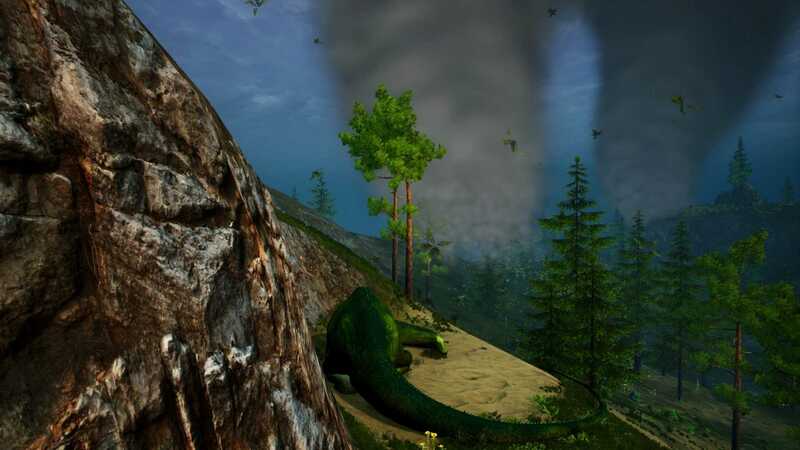 Apatosaurus are immune to Tornadoes after 0.8 growth, out of gameplay balance since they no longer can fit into caves or outrun a approaching Tornado. 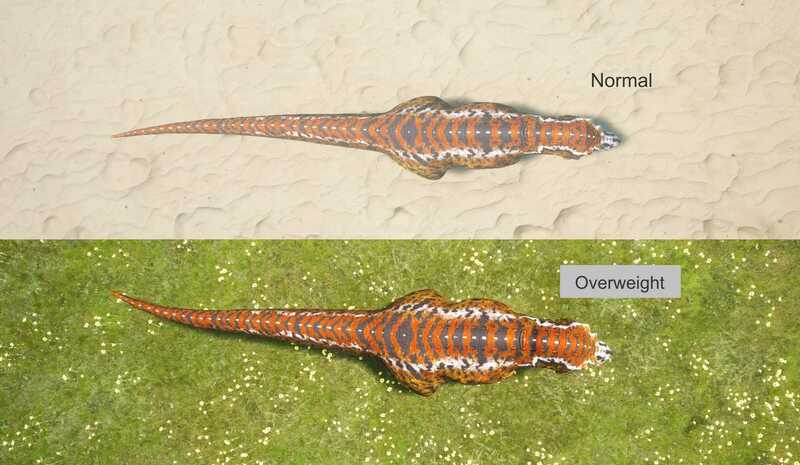 Flooding means a Aquatic predator can get inland access they do not usually have, though they run the risk of beaching themselves far inland if the flood recedes while they’re still in there. This is an additional danger during a severe storm. Multiple Tornadoes can spawn in rare circumstances, the most I have seen is 3 at once. Tornadoes will target a player and attempt to reach them, and the larger the group is, the more enticing a target. Only 100% shelter can prevent you from being targeted by a Tornado, and prevent you from being picked up by one. as mentioned earlier in this section. It is quite advisable to seek shelter during severe storms. After a storm comes Fog, which makes it hard to see and scent anything around you. This is another hazard, and one I often find even more deadly than the storm itself, since you risk starvation if you are low on food after hiding from the storm and then cannot smell out any food.